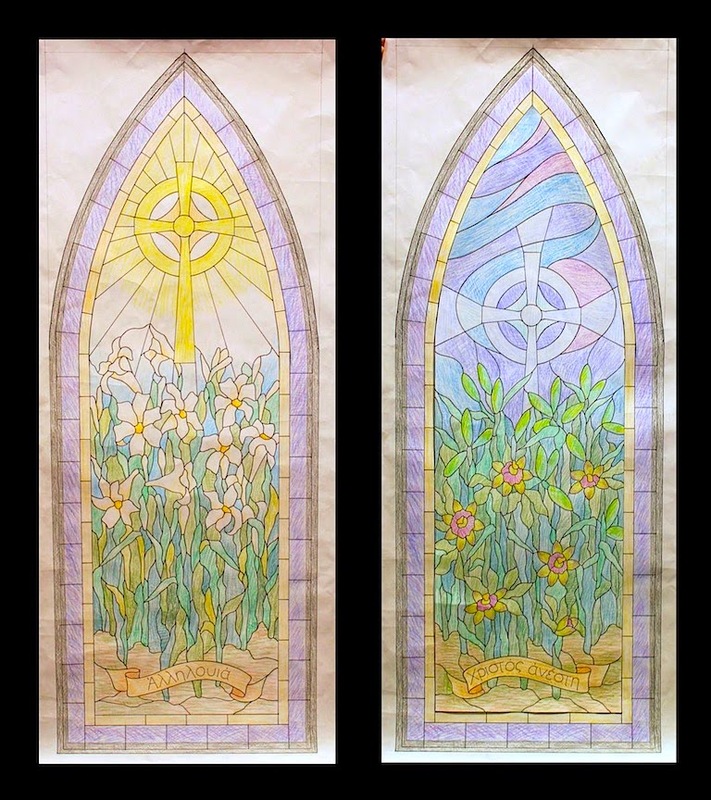 In March, we completed a pair of Resurrection-themed Memorial Windows for St. Paul’s Episcopalian Church in Owatonna, Minnesota. 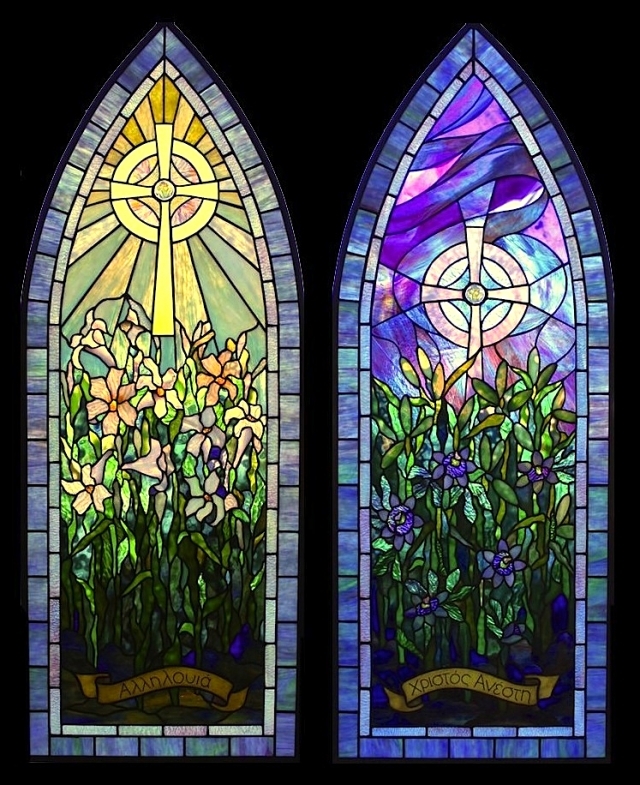 Commissioned as a memorial by the Krysto family, the pair of windows feature Easter themes. Installed in the entry to the church, the windows are placed as shown above – the first window (on the right as you ascend a stairway) has a somber tone with the cross amid Passion Flowers, Lilies in bud, and a moody sky. The second window (on the left as you ascent to the top of the stairs) shows the Glory of the Resurrection, with the raised cross behind lilies in full bloom in a blaze of sun rays. 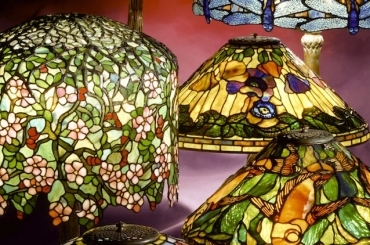 Working closely with the church, Bill Campbell drew the designs and did the glass selection. The cross in each window is accented by a large pressed jewel, and both windows feature a variety of textured glass. 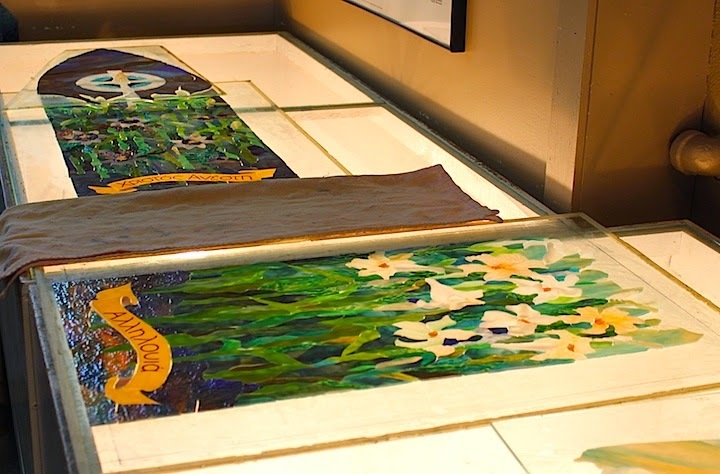 Most of the blooming lilies were cut from drapery glass, further enhancing the three dimensional look of the window. Bill did all the color selections for this pair of windows. 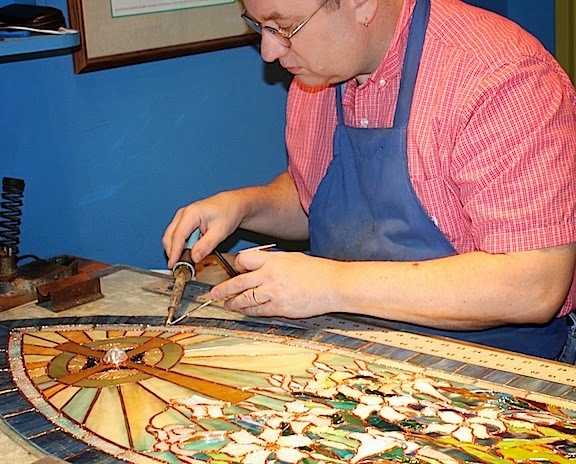 Whenever we undertake larger window projects, every work surface in our cutting & layout area is used. Irwin can be seen soldering the finished windows together. The windows were installed in time for Good Friday services at the church.